Jerry Malidore was born in Edgerton, Alberta, Canada on July 31, 1929 to Clarence and Mary Malidore. He passed away on October 21, 2018 due to kidney disease and COPD. Jerry married Edna Lou Anderson on December 23, 1951 while serving in the US Air Force. They had 2 children, Brad and Marilyn. Edna passed away after 49 years of marriage. In 2002, Jerry married Annabel Bernice Edwards. Jerry was an auto parts machinist and later a heavy-duty equipment mechanic. He was a proud member of the Operating Engineers 302 Union for 50 years. 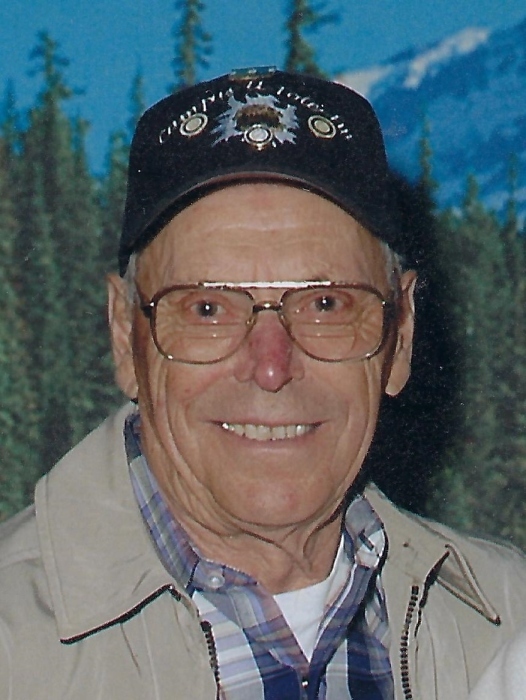 Jerry enjoyed camping, traveling in their RV, yard work, telling jokes, and spending time with his family. He had a real sweet tooth and loved popcorn. Jerry is survived by his wife Annabel; son Brad Malidore (Kerry); daughter Marilyn Hanson (Larry); stepson Ron Edwards (Jan); 4 grandchildren: Janelle Magstadt, Keith Snoek (Chantelle), Ashley Lewis (Trustin), and Brandon Malidore (Amber); 7 step-grandchildren: Kris Fox (Dave), Kevin Edwards, Kandy Bradner, Michael Edwards, Aletha Edwards, Shawn Edwards, and Autumn Edwards; 11 great-grandchildren, 13 step-great-grandchildren, 1 step-great-great granddaughter, and numerous nieces and nephews. He was preceded in death by his parents, first wife Edna Lou Malidore, brother Ron Malidore, and sister Phyllis Gordon. There will be a Celebration of Jerry’s life from 2-5 p.m. on Sunday, November 11, 2018 at the Black Diamond Eagles, 32618 Railroad Ave. Memorial donations may be made in Jerry’s name to; National Kidney Foundation, PO Box 15149, Portland, OR 97293-9149, American Lung Association, 822 John St., Seattle, WA 98109, or the donor’s choice of charity.